Joe Misner has competed in 13 Extreme Mustang Makeovers. He placed in the top ten in 9 of those competitions. And, Joe Misner loves teaching what he has learned about wild horses. Joe is dedicated to helping America’s wild horses and prisoners looking to change the path of their life. 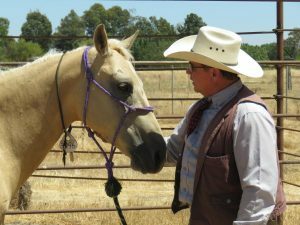 Joe Misner is the manager of the Rio Cosumnes Correctional Center Wild Horse Program. He has developed a horsemanship program for inmates of the Sacramento Sheriff’s Department. The prisoners learn to train wild mustangs from the Bureau of Land Management. The horses are auctioned off and the proceeds go to the Mustang Heritage Foundation. It’s a win-win situation for both the inmates, wild mustangs, and Joe Misner. The Rio Cosumnes Correctional Center’s next adoption sale is October 14 at 9 am. Find out all the information at Friends of R3C dot com. 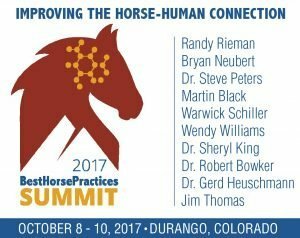 Ranae and I are headed to Durango in October for the Best Horse Practices Summit. This intimate horse expo brings together experts from all aspects of horse behavior and is sure to add to our horse knowledge. The BHP Summit is limiting attendance to 200 people ensuring everyone gets the focus and attention they need. We are looking to take away valuable horsemanship tools from the Summit and hope to meet you there. You can register here. There is a “Join Our Email” list at the top of this page. Signup. 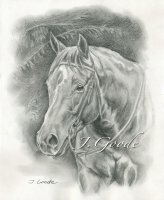 Occasionally, I’ll send you something useful you can use to build a better relationship with your horse. Thanks!